Your healthcare practitioner uses the AcuGraph Digital Meridian Imaging system as part of an integrated approach to your healthcare. This page will give you more information about the role of AcuGraph in your care and why your practitioner has chosen to use this equipment. 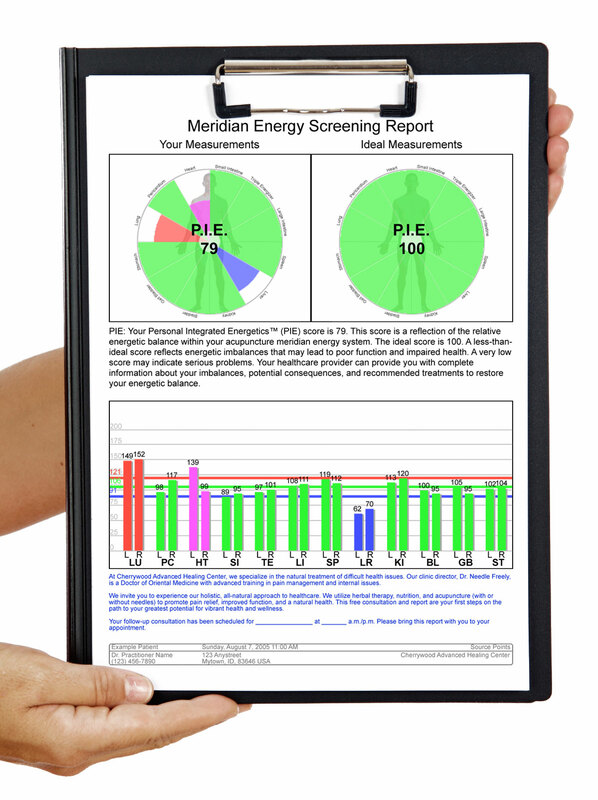 The AcuGraph system allows your practitioner to measure and analyze the energy level of each acupuncture meridian. Armed with this information, your healthcare practitioner can make better-informed decisions about your condition, and provide the best treatment possible. 5. Why Did my Acupuncturist Choose AcuGraph? AcuGraph is the premiere measurement tool of its type on the market today. It provides a fast and efficient exam, gives the most advanced treatment options, and allows your acupuncturist to easily track your progress. AcuGraph is the natural choice for practitioners who are committed to high-quality care and outstanding results. Your acupuncturist insists on providing the highest quality care, and this is the most important reason she has chosen the AcuGraph system. What should I expect in my AcuGraph exam? The exam itself is brief and comfortable. You will need to remove your shoes and socks, and sit or lie comfortably during the exam. You will hold a metal bar in one hand, and your practitioner will touch a probe lightly to your skin in various spots on your hands and feet. During the exam, you will hear the computer produce tones that mean the exam is progressing properly. The entire exam takes about 2 minutes. 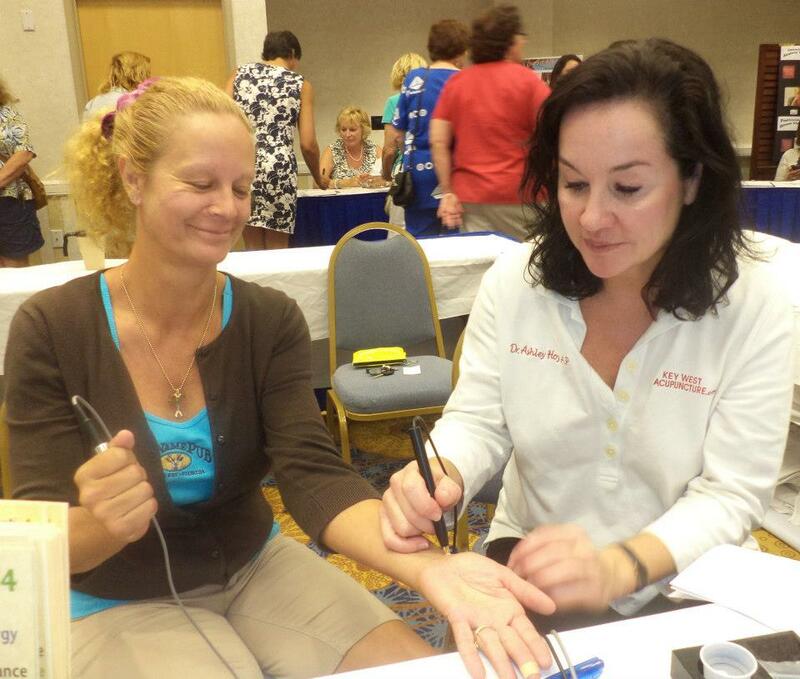 AcuGraph uses a tiny electric current to test the conductivity of each of your acupuncture meridians. This electrical current is extremely safe for infants, children, adults and the elderly alike. In fact, the only safety concern at all is when there is a pacemaker or other implanted medical device present. In that case, the AcuGraph exam is not performed. Yes. The tip of the probe will be moist, so you will feel the moisture where the probe touches your skin. But it’s very unlikely you’ll feel the electric current. It’s far too small to be felt in most cases. 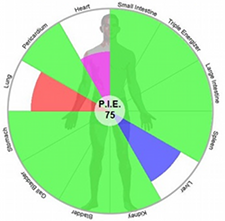 The AcuGraph exam will show you the balance of energy in your acupuncture meridians. This balance, or lack of balance, is an important key to understanding the state of your health and potential health issues. Your practitioner will help you understand the exam results in the context of your current condition. In general, you’ll start with your first exam to establish a baseline, and than have at least one follow-up exam to track your progress. Most likely you will have several AcuGraph exams over the course of several weeks. “AcuGraph” and “Digital Meridian Imaging” are trademarks of Miridia Technology Inc., all rights reserved.